Did you know that it can take at least 10 exposures to a new food before acceptance? That number grows for very picky eaters so the message we want to share with parents and educators is not to give up too soon! You’re training taste buds so settle in for a bit of a journey! We created this free chart to provide you with another visual tool when it comes to setting healthy eating habits. This chart is really easy to use…choose the new foods you’d like your kids to keep trying and write them on the left hand side. If you laminate the chart you can keep using it over and over again. Each time your kids try that food they (or you) can write a check mark in that box. Try to serve that new food in different ways because sometimes texture can play a big role. Take carrots for example, you can serve them grated thinly in a salad, as a soup, steamed or even in a juice! 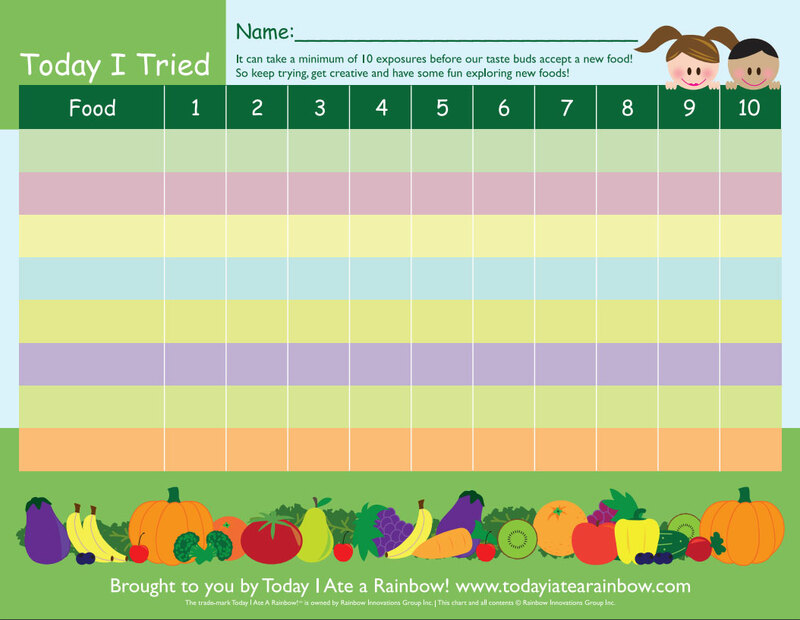 We hope you and your kids enjoy keep track of their food attempts! Be sure to celebrate their willingness to keep trying even if just take a tiny mouse nibble! All the baby steps lead to big changes one day if you keep trying! Oh and don’t forget to smile and have fun…you’re kids are becoming food explorers!